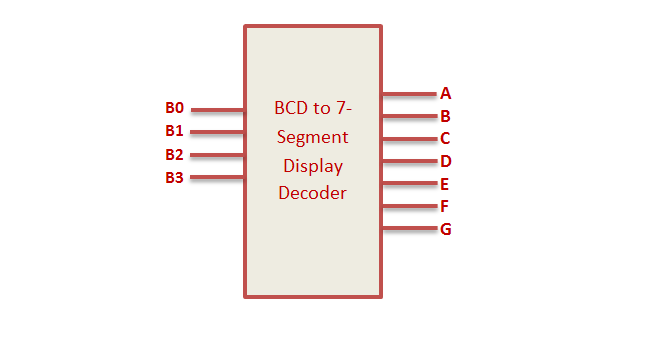 VHDL Code BCD to 7 Segment Display decoder can be implemented in 2 ways. By simplifying Boolean expression to implement structural design and behavioral design. For constructing BCD to 7 segment display, first construct truth table and simplify them to Boolean expression using K Map and finally build the combinational circuit. 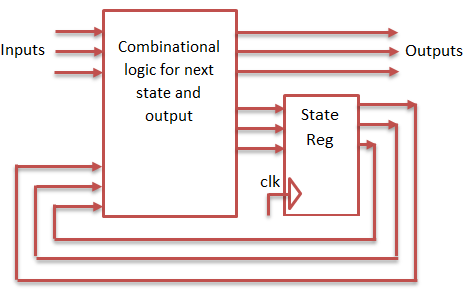 The Output of the state machine depends on both present state and current input. When the input changes,the output of the state machine updated without waiting for change in clock input. The Output of the State machine depends only on present state. The output of state machine are only updated at the clock edge. 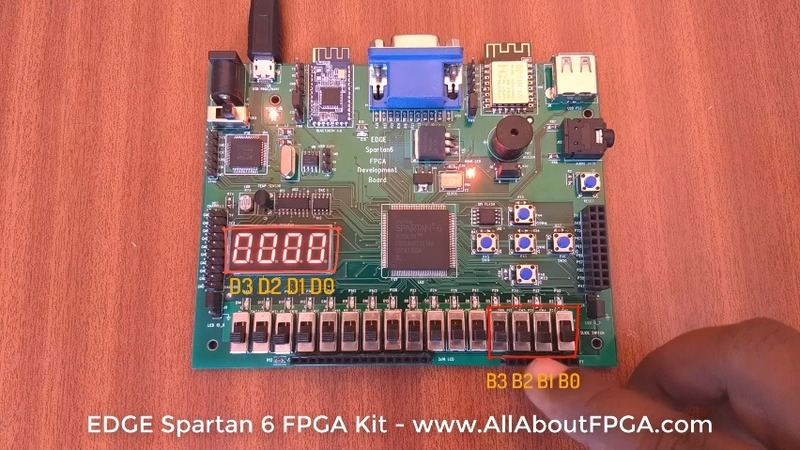 Low Cost and Feature Packed FPGA Development Kit for Beginners. 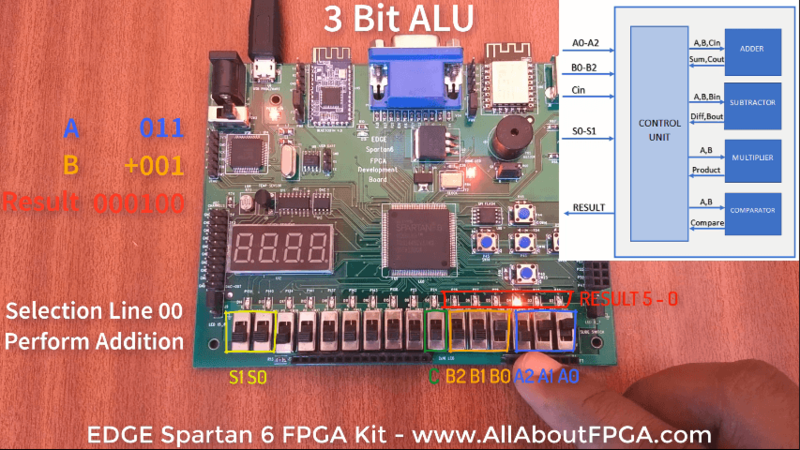 Best Rated and All in One FPGA kit to work with Latest Xilinx Vivado Design Suite. 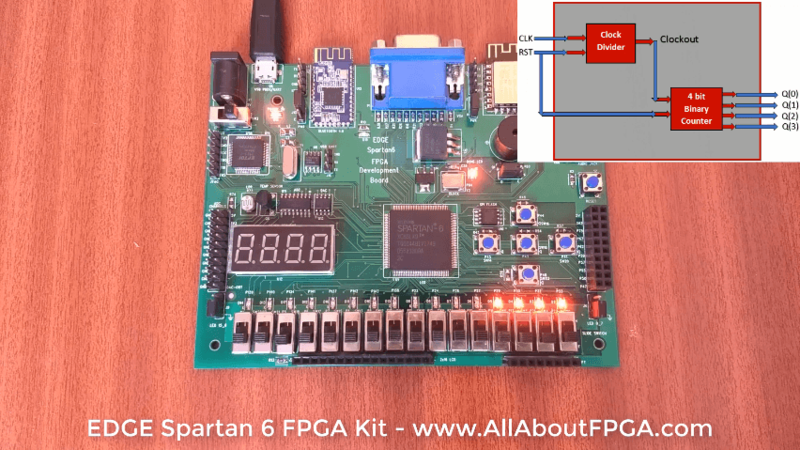 Introducing EDGE Spartan 6 FPGA Development Board!